DWANE BAILEY, is a self-taught surrealist artist. He was born in a little district known as Diamond In River in the parish of Clarendon where he received his higher education at Clarendon College. He was so attracted to art from a tender age, for at age nine he made replicas of Mack, trucks and at fifteen he made a miniature of a guest house. 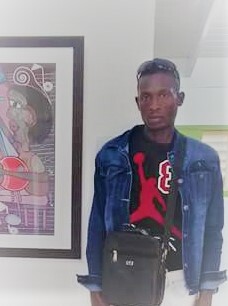 Bailey exhibited his works at the Jamaica Cultural Development Commission (JCDC) visual art competition and exhibitions. Over the years Bailey has won several JCDC awards including the exhibition honors, gold, silver, bronze, and the second-place jury voters prize. He also exhibited his artworks at the National Gallery of Jamaica in 2012, and the Jamaica Conference Center between 2015 to 2018. Bailey’s work can be seen at Grosvenor gallery, Saba gallery, and Amaicraft in Jamaica.